The Galaxy S7 release date is set for MWC 2016 (that’s February 22 – 25, 2016) and we will most likely see the Galaxy S7 hit stores five or six weeks after the official announcement. USB-C is starting to appear on more consumer electronics, like Apple’s new Macbook. Now rumors claim that Samsung will be the first manufacturer to integrate them in the new Galaxy s7. 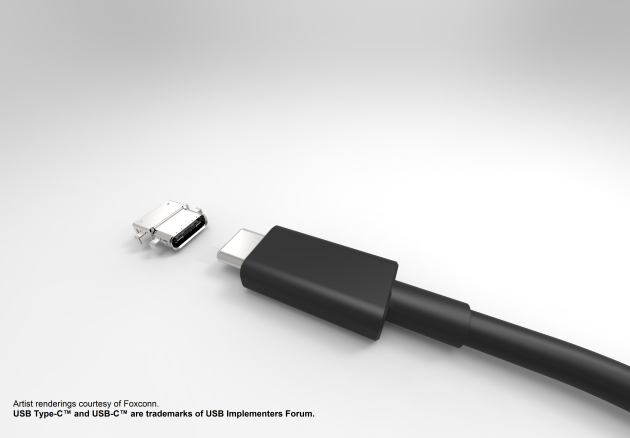 The Galaxy Note 5 will also most likely feature USB-C. USB Type-C delivers power, display, and data through a single port, allowing device makers to slim down on the need for excessive ports and cables running from a machine. Anther huge advantage of USB-C is that it has a symmetrical design allowing users to plug it in both ways. Samsung claimed the Galaxy S6 was going to feature a new design however most were disappointing once it was released as it looked awfully similar to the Galaxy S5. It seems like the Galaxy S7 won’t look anything like its predecessors and that Samsung is looking to take a completely different approach completely changing the Galaxy S series of devices.